It seems that every day there is a new lawsuit in the smartphone or tablet industry. And the plaintiff in Wednesday's lawsuit of the day is not even a technology company. Toy maker Hasbro is taking tech manufacturer Asus to court for using the name Transformer for the Asus Transformer Prime tablet. Those who pre-ordered the quad-core powered device should be receiving the tablet very soon as those orders have started to ship, as we reported earlier on Wednesday. Hasbro is seeking damages and a temporary halt of sales of the NVIDIA Tegra 3 powered tablet. While this sounds like a ridiculous waste of time to many, Hasbro could, at the least, get Asus to change the name of the tablet in the States. The toy company can argue that with a successful movie franchise using Hasbro's copyright protected characters by license, Asus was taking advantage of the popularity of the Transformer name to sell its product. Companies in different industries can use similar names if it is proven in court that Company A was not taking advantage of the popularity of Company B's product in picking a similar name. Still, it would seem unlikely that consumers could be confused by the use of the Transformer name by Asus, which is what Hasbro's attorneys are going to have to prove. The Transformer franchise started with toys made by Hasbro back in 1984, and revolves around two groups of alien robots that are in the midst of a war. One is called the Autobots and the others are the Decepticons. Three feature length films have been released featuring the robots that can transform into mechanical objects like a car. 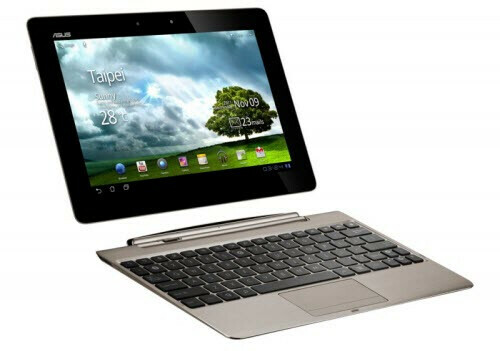 The Transformer name in the Asus tablet references the detachable QWERTY keyboard that can turn the tablet into an Android powered laptop computer. Just as ridiculous as Vivid suing HTC over the usage of "Vivid". In all honesty I think Asus should actually be scared. The whole autobot team can take them any day. There are only so many words folks ... a yard for example ... is it something behind a home, a unit of measurement ... eventually a word is going to get reused. This is lame. No way, this is far worse. Vivid was relatively unexpected whereas even the blindest of the blind saw Hasbros lawsuit coming mile away. Seriously, at least, the fact dawned on the Nexus partners before they released a migraine in a courtroom by Hasbro. That is literally the dumbest thing i have ever heard. What Dips**ts. Same thing happened when the droid came out, if you guys remember. No it didn't. Verizon simply licensed the name to begin with, because Lucas literally invented the word "DROID". LG had a working agreement with Hasbro and special marketing for the Versa when the Transformer movies came out, so I'd find it unlikely that "Optimus" offends anybody at Hasbro if it's coming from the LG camp. Asus' mistake where putting the words "Transformer" and "Prime" together on this thing. Purely boneheaded on their marketing team. When you get two seperate words trademarked by another company, stick them together, and place it on your merchandise, you put your self into a bad position from the get-go. Asus was clearly trying to evoke the image of a badass, powerful machine. They did it at another company's expense. They are lucky I'm not the judge. It should come to nobody's suprise if Hasbro wins this one. Ya know, I think Hasbro actually has a point here. Asus got away with calling the first tablet the Transformer...and that was cool because it fits and it doesn't immediately remind you of the cartoon. LG even got away with calling just about every phone the make some sort of Optimus. But when you add "Prime" to "Transformer"...anyone who grew up watching the cartoon gets a flashback of Optimus Prime. Maybe the Transformer 2 doesnt have the same ring to it, but it may keep Hasbro off their backs. They should make a deal between asus and hasbro where the Transformer Prime tablet comes with your choice of an autobot or decepticon logo embezzled in the back of the tab,it'd be so cool. i agree with Whateverman. i think Hasbro is on justifiable grounds here. Transformer is one thing but Transformer Prime? c'mon. I agree. With just "transformer, Asus has a good case. But transformer and prime together does cross the line. I'm almost as offended as I was when I watched Transformers 2. I can see where Hasbro may have a point, but the two markets are so dissimilar that it's unlikely that anyone would buy the TP because of its name. If my new tablet gets even *further* delayed because of Hasbro, I am going to be royally pissed!!!!! i dont see why anyone is so up in arms about it. Honestly, i figured they worked out some kind of naming deal behind the scenes. Transformer is close enough but transformer AND Prime is a direct attempt at using the franchise's current popularity. As a fan of both the tablet and the franchise... im not really bothered by it, but obviously Hasbro needs to keep their licences in check. This is hilarious, I dont care what happens. I got mine and the box says transformer prime baby!!! its a matter of licensing and what nots. hasbro came first with using the name "transformer". asus is just using it too much this time. they think their getting away with or hasbro will still allow. i know hasbro has been monitoring this. i even had a thought that the LG Optimus has something to do with the movie. people sometimes need to understand that their satisfaction should not be weighed just becaused they want something because this would ruin a name or stature or legacy. people should learn how to respect each other. lets not be like crabs inside a basket trying to pull each other while attempting to get out of the bag. i thought it was Michael Faraday who was first using the name transformer! hmm Hasbro sued asus they got what was coming to them. Hasbro may may not sue lg because in transformers revenge of the fallen everybody had lg phones. And secondly remember the special edition lg optimus tablet turning into a robot and smashing the apple so lg may have some legal thing going on so thats just what i think. 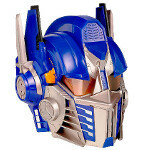 So Asus should sue Transformer Optimus Prime too? that's why they didn't say anything about the original Transformer but Transformer PRIME is just asking for trouble.